'Resonance' brings together a series of sonic performances by students of the Sonic Arts programme at Te Kōkī New Zealand School of Music (Victoria University). 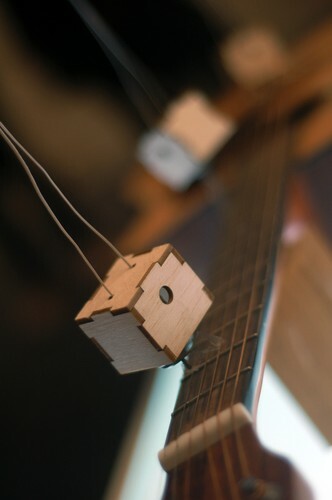 Using custom-built hardware and software, each artist will respond uniquely to Movement through the medium of sound. Built upon sonic parallels to the artistic concerns informing Movement, Resonance provides an immersive audial experience in which pattern, tone, and light are coupled with rhythm, timbre, and frequency. As in Movement, where the artwork breaks out of the conventional frame of painting. Resonance moves beyond a traditional concert setting not only in terms of sonic material but also the mode of presentation. Surrounded by the all-encompassing patterns and abstract geometries of Movement, the audience are encouraged to move during the performances in order experience different sonic characteristics of the space and performances taking place within it. In this way, Resonance explores the influence of the space on a series of sound works both physically and conceptually. Sonic Arts programme at Te Kōkī New Zealand School of Music. The Sonic Arts programme, as part of the Composition major at Te Kōkī New Zealand School of Music, is geared towards creative application, exploration and development of music technology across various mediums and disciplines. Our lecturers maintain high national and international profiles, and their collective expertise covers all significant aspects of sonic art and composition, including film scoring, instrument design, music software development, electronic music, musical mechatronics, sound installations, as well as composing for small ensembles to orchestras. Our students are involved in work as diverse as composing soundtracks for films, designing interactive soundscapes for computer games, building musical interfaces and instruments, creating works for multi-channel surround-sound loudspeaker systems, and composing pieces for symphony orchestra. The Composition major prepares students for work in a range of areas, including the creative industries, artistic practice, and the cultural sector more generally. Students in this major will acquire the creative, theoretical/technical, critical/communicational, and organisational skills needed to become a composer, arranger, music editor, sound artist, programmer, radio producer, sound designer or teacher, as well as many other professional occupations.